Day Six of our Alaska Adventure we went to the Iditarod museum and had the opportunity to ride on a sled pulled by dogs. It was such a great experience watching how the dogs worked together and enjoyed pulling the sled. Every year in Alaska, a 1000-mile dogsled race, run for prize money and prestige, commemorates an original "race" run to save lives. Back in January of 1926, six-year-old Richard Stanley showed symptoms of diphtheria, signaling the possibility of an outbreak in the small town of Nome. When the boy passed away a day later, Dr. Curtis Welch began immunizing children and adults with an experimental but effective anti-diphtheria serum. But it wasn't long before Dr. Welch's supply ran out, and the nearest serum was in Nenana, Alaska--1000 miles of frozen wilderness away. Amazingly, a group of trappers and prospectors volunteered to cover the distance with their dog teams! Operating in relays from trading post to trapping station and beyond, one sled started out from Nome while another, carrying the serum, started from Nenana. Oblivious to frostbite, fatigue, and exhaustion, the teamsters mushed relentlessly until, after 144 hours in minus 50-degree winds, the serum was delivered to Nome. As a result, only one other life was lost to the potential epidemic. Their sacrifice had given an entire town the gift of life. Because of the sacrifice of Jesus all of humanity can be saved. Dear Lord, help us to continue to press on to the goal that is before us. We pray for strength to continue along even when things get tough. In the Name, of Jesus, Amen. 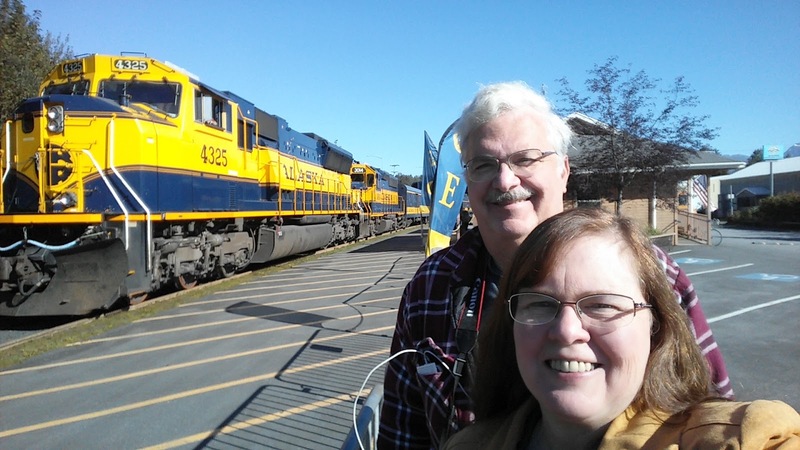 Day five of our Alaska Adventure we took a ride on the Alaska Railroad from Anchorage to Seward and after a day of sightseeing in Seward back to Anchorage. It was a beautiful day as we followed the tracks through the Alaska wilderness. We need to let the Lord direct our paths and shew us the way in our life. When we are following those "paths" that it talks about and seeking the Lord to guide us, we tend to be more joyful Christians. On the other hand, relying on the Lord to "teach" us His paths is what I think we all have trouble with though. It is like following train tracks. The Conductor knows what's up ahead but we may not and as humans that great unknown scares us. At least it scares me. Of course if we get off and start taking making our own path, we get derailed and lose our way and focus in our Christian lives. We need to rely on the Lord daily in order to be where we need to be. Remember the story about The Little Engine That Could? When trying to go uphill, he kept saying, "I think I can! ", "I think I can!". 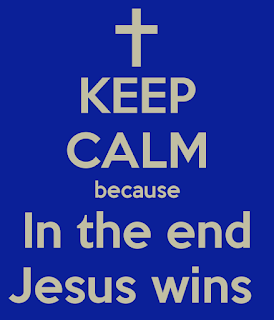 That's all well and good but as Christians, we should say, "I know God can! ", "I know God can!". 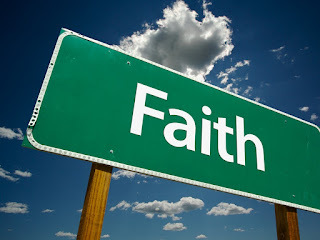 Through our faith we can use God's strength as we go through the tracks of life. Dear Lord, we thank You that with you we can make it. Help us to trust You as You lead us down the tracks of life. In the Name of Jesus, Amen. Day four on our Alaska Adventure we got to go to the river and catch fresh salmon on the fish wheel. We never saw so many Salmon. I recently saw a fishing cartoon that illustrated something about expectations. Pictured were two Eskimos fishing through holes in the ice. One of them had his line in a normal size hole maybe two or three feet across. But the guy sitting next to him had his line in an enormous hole, in the shape of a whale! This guy was hungry! He didn't want some dinky little fish! He was fishing for whales! Dear Lord, thank You for the lesson we can learn from a cartoon. We pray that our hunger for the things of You would be “Whale” size. In the Name of Jesus, Amen. A goal is more than a dream. 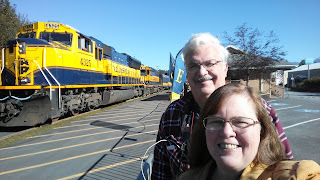 Day three of our Alaska Adventure we went to Valdez to participate in a glacier cruise. It was an exciting time seeing the massive glaciers, whales, seals and other wild life. Dear Lord, give us the strength and courage to keep pressing on to the goal that You have before each of us. Help to stay excited for what You have in store. In the Name of Jesus, Amen. Day two of our Alaska Adventure the first thing we noticed is that is colder here then back home. As we boarded our plane to head North the Temperature was 92 degrees. As we were welcomed to Anchorage the temperature was 46. Now is a good time to focus on the adventure that is before us. Some scientists decided to do a study to find out why the Eskimos could withstand the weather, while the Texans flagged. The study concluded there were no physiological differences between the Eskimos and the Texans. Then the scientists conducted a psychological study and discovered the difference. The Eskimos experienced the cold, but clearly understood that a job needed to be done. With that mindset, they focused intently on obtaining results rather than how the weather was affecting them. The Texans, on the other hand, were so focused on the cold weather it became their overriding experience of the situation, monopolizing their attention and energy and crippling their capacity to work. When the Apostle Paul penned these words in Philippians 4:8, exhorting us to meditate on those things which are good etc. -- he was in prison. Yet he clearly had been training himself not to focus on his external circumstances, but on everything good, noble and praiseworthy, and especially the Lord Himself! Paul was no stranger to discomfort or the temptation it brings. But he'd learned well that his inward attitude toward difficult external circumstances could dramatically affect the way he experienced them and also his capacity to function in spite of them. Focus on how bad things are – the trials, temptations, the circumstances that surround you – and you will be crippled by the amount of attention you give to them. Focus on the Lord, His Word, His promises, His deliverance, and everything good He is, has done, and will do, and you will work like an Eskimo in frigid air. Dear Lord, help us focus on the positive things today. Help us not dwell on the negative to only be pulled down by them but instead keep our focus on what is important. In the Name of Jesus, Amen. Today is the day we start our Alaska Adventure. The next 16 days the devotions will be themed around things we see and do as we visit my brother and family in Alaska. "Every now and then go away, have a little relaxation, for when you come back to your work your judgment will be surer, since to remain constantly at work will cause you to lose power of judgment...Go some distance away because then the work appears smaller, and more of it can be taken in at a glance, and lack of harmony or proportion is more readily seen." Have you found this to be the truth? We have! Any time we step back from a situation or project and take some time away, we undoubtedly gain new perspective and insight about it. Now, I know not all of us can take a week-long vacation at a luxurious resort to take time away from our difficulties, but we can, and must take a retreat with the Lord (which by the way, can be much more restful)! The Word says He makes me to lie down and green pastures -- It doesn't say He'd like us to, if we could try to take some time from our busy schedules -- it says He makes us! It's time to take a rest from all the things that make us weary today -- ministry work included. Let's take some time out with the Lord and get quiet before Him. He has so many things He wants to reveal, if we would only give Him a chance to show us! He's has so many ways He wants to refresh us and refill our empty places, if we would only be obedient to His call! Dear Lord, help us each take the time to relax and refresh ourselves. Help us to be obedient to You. In The Name of Jesus, Amen. 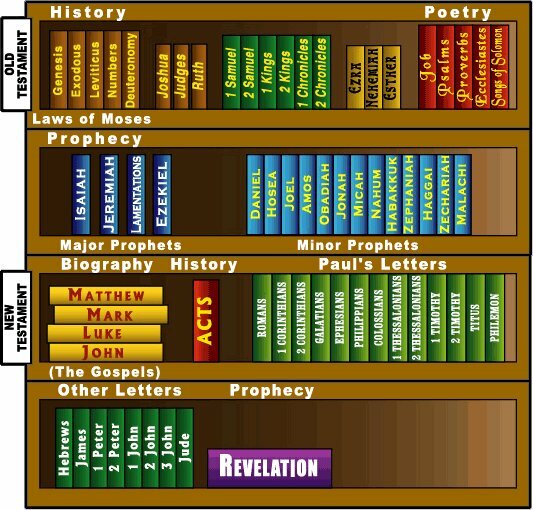 What part of the Bible do you like best? A candidate for church membership was asked, “What part of the Bible do you like best?” He said: “I like the New Testament best. 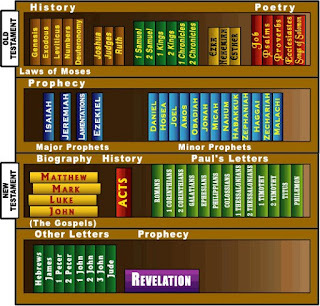 Then he was asked, “What Book in the New Testament is your favorite?” He answered, the Book of the Parables, Sir.” Hmmm. Do you realize how many of us are guilty of such little knowledge of God's word? The Lord has really been convicting my heart of how much we need to know the Bible in this day and age. The Lord has given it to us as a gift! That we might have wisdom and knowledge and understanding beyond our years! Let's strive to study and learn His Word. Dear Lord, help us to study Your word so we will know the things You would have for us. In the Name of Jesus, Amen. 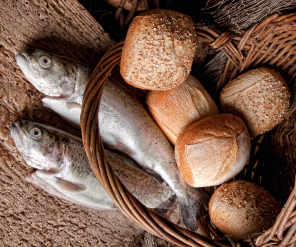 Jesus told many truths with parables. We can see that as we read through the gospels. Jesus rarely (maybe even never) began with scripture when he was among commoners. It was only in the Jesus told stories about everyday things in order to bring His strong message in a way that would keep his listeners attention! Dear Lord, thank You for our story. Help us share that with someone today. In the Name of Jesus, Amen. August 23, 1985 I was blessed beyond measure to marry Becky Ann Vander Boegh. Your name, Becky, is a name representing beauty in the Bible. 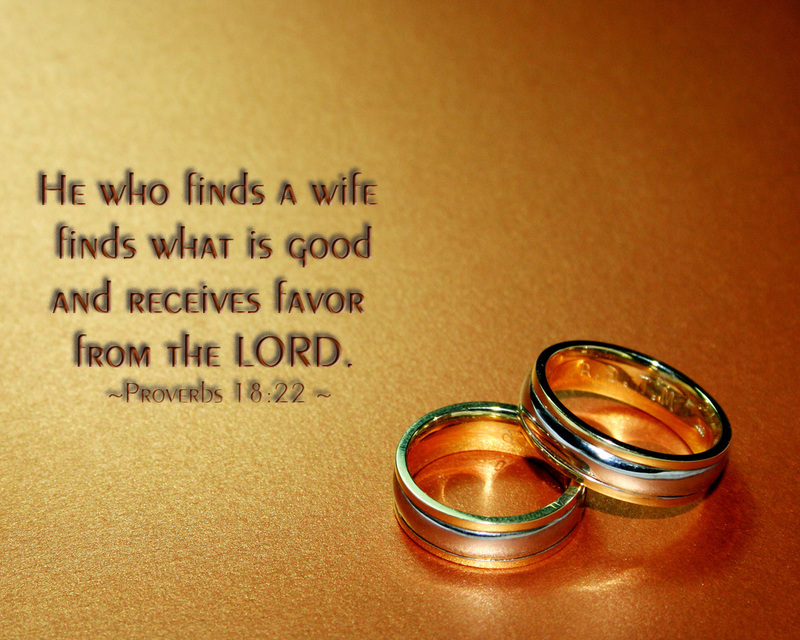 The Hebrew origin of your name comes from a word meaning “faithful wife”. I am honored to be your husband and best friend. Friendship…it is a dream come true to be your spouse’s best friend. It has taken a lot of sacrifice and effort on both our parts, but it is oh so worth it! Thank you! Encouragement…you have prodded me onward many times when I wanted to quit. I wouldn’t be where I am today had it not been for you! Thank you! Belief in me…you have been my biggest fan. You have believed in me when I didn’t believe in me. Thank you! Faithfulness…never have I questioned your fidelity to me or to our Lord. Like the sun that rises every morning and the moon every evening, great is your faithfulness. Thank you! Love and respect…you have loved me even when I was not loveable and respected me when I was not respectable. Thank you! You have been a wonderful mother to our boys. Each of them love you so dearly. You have been to them a mentor, an example, a teacher, a comfort, a place to turn for insight and wisdom, a friend, a role model, a light, a wrestling buddy and one in whom they can trust. You have made them secure in your love and pointed them to the One above! We all thank you! Becky, you make me smile and laugh. You are forgiving, patient, kind, gracious and understanding. You are my greatest listener. You pick me up when I am down. You follow me all around! I am so glad we are on this journey together! You are the highlight of each and every day of my life! Happy 31st Anniversary Becky!! I love you more than words can express. Pack your bags we are heading to our great Alaska Adventure. Dear Lord, thank You for giving us Your love to share with others. We pray that You willcontiue to bless our marriages. In the Name of Jesus, Amen. A young couple was visiting a renowned jewelry store in New York City. They browsed through cases of magnificent diamonds with their gleaming yellow light along with many other splendid precious stones. Among those beautiful stones, one in particular caught his wife's eye. It was completely lusterless and didn't seem to be in the right place. “That is one terrible looking stone, do you see that? ", she said. The curious husband asked a clerk if they could see the stone. The clerk opened the case, took out the stone and held it in his hand for a few minutes. When he opened it, there was a perfectly flawless stone. There was not a place on it that didn't gleam with the splendor of the rainbow. "How did you do that? ", they asked in surprise. 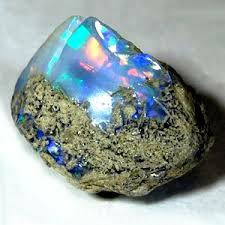 "This is an opal", he replied. "It is what we call the sympathetic jewel. It only needs contact with the human hand to bring out its wonderful beauty." Merely a touch brings out this stone's beauty. We live in a world where beauty is hidden under pain, sin and suffering. How many lives only need the warm touch of human sympathy, love and compassion, to make them gleam with a radiant splendor? Reach out and touch someone today for His glory! Share with them the love of God and not only will they receive a glimmer of joy, but you will gleam with His radiance too! When the Lord asked whom shall I send, Isaiah replied “here am I". Let's each of us say today here am I and be used by the Lord to bring out the beauty of those around us! Dear Lord, help us each be willing to say “here I am Lord” today. Help our love bring out the beauty of someone else. In the Name of Jesus, Amen. In honor of the 2016 Summer Olympics let’s take a look at this amazing story. Dear Lord, help us not let our circumstances to dictate what we can accomplish. Help us to trust in You and move forward. In the Name of Jesus, Amen. I read a story online of a chaplain who was speaking to a loyal soldier in the hospital. "Bless you son, you saved a fellow soldier's life -- and lost an arm in the great cause doing it," the chaplain said. "No," said the soldier with a smile. "I didn't lose it ... I gave it." We have so much. The Lord has blessed many of us with good health, the use of our eyes, ears, mouths, hands, feet and minds. 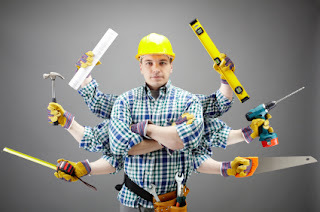 He's given us various talents of sorts. He's blessed many of us with homes, cars, and good paying jobs. Most importantly, He's bestowed upon us the wonderful knowledge of His Son, Jesus. We are all soldiers in God's great army. In the same way, this young soldier gave his arm to save a life, we should be offering our gifts toward God's great cause of salvation for the world. Let's make it a point to start giving consistently of the gifts God has given us, whatever they may be. After all, Jesus did not lose His life -- He gave it purposefully for us, no strings attached. Dear Lord, help us be willing to give willingly the things that You have given to us to help others. Thank You for giving for each of us. In the Name of Jesus, Amen. Dear Lord, we thank You that You are the repairer of everything. Thank You that no matter what we have broken in our life You can repair it for us. In the Name of Jesus, Amen. It was a bright Sunday morning in 18th century London, but Robert Robinson’s mood was anything but sunny. All along the street there were people hurrying to church, but in the midst of the crowd Robinson was a lonely man. The sound of church bells reminded him of years past when his faith in God was strong and the church was an integral part of his life. It had been years since he set foot in a church years of wandering, disillusionment, and gradual defection from the God he once loved. That love for God -- once fiery and passionate -- had slowly burned out within him, leaving him dark and cold inside. Robinson heard the clip-clop, clip-clop of a horse-drawn cab approaching behind him. Turning, he lifted his hand to hail the driver. But then he saw that the cab was occupied by a young woman dressed in finery for the Lord’s Day. He waved the driver on, but the woman in the carriage ordered the carriage to be stopped. 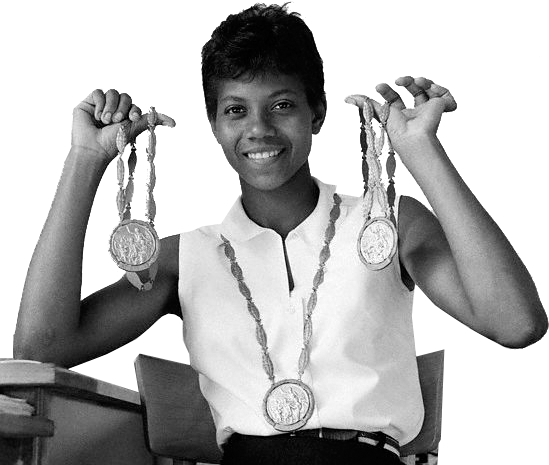 "Sir, I’d be happy to share this carriage with you," she said to Robinson. "Are you going to church?" Robinson was about to decline, then he paused. "Yes," he said at last. "I am going to church." He stepped into the carriage and sat down beside the young woman. As the carriage rolled forward Robert Robinson and the woman exchanged introductions. There was a flash of recognition in her eyes when he stated his name. "That’s an interesting coincidence," she said, reaching into her purse. She withdrew a small book of inspirational verse, opened it to a ribbon-bookmark, and handed the book to him. "I was just reading a verse by a poet named Robert Robinson. Could it be…?" He took the book, nodding. "Yes, I wrote these words years ago." "Oh, how wonderful!" she exclaimed. "Imagine! I’m sharing a carriage with the author of these very lines!" He could barely read the last few lines through the tears that brimmed in his eyes. "I wrote these words—and I’ve lived these words. ’Prone to wander…prone to leave the God I love.’"
The woman suddenly understood. "You also wrote, ’Here’s my heart, O take and seal it.’ You can offer your heart again to God, Mr. Robinson. It’s not too late." Is this you? A devoted Christian deep in your heart, who has wandered from the faith? Your loving Father will orchestrate your return to Him. Dear Lord, we pray for those that have wondered from You today. We pray that they would find their way back knowing that You have Your arms opened wide ready to receive them back. In the Name of Jesus, Amen. It's not defeat, or loss. If you think about it, all the great leaders of the Bible shone in the hardest of times. When the giant Goliath stood against the army of Israel, David didn't sit around with his brothers complaining about how big Goliath was. Though David was a dwarf next to this evil giant, he was still convinced he was going to be victorious because God was on his side! 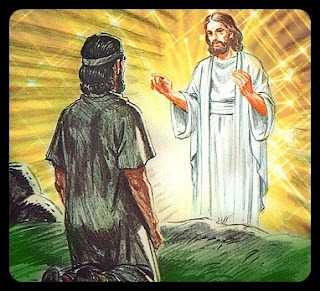 When the apostles saw Jesus die, they must have felt utterly defeated -- then, suddenly, there he was, out from the grave, gloriously alive before them -- and from then on they walked in His victory! They didn't sit around complaining about Roman persecution, the Sanhedrin, or the Pharisees. They didn't get wrapped up in how evil the world was becoming; instead they pressed forward in the worst of times and in those dark days they shone like the stars in the midnight sky. Despite everything that's happening around us, let's be sure we're not developing a defeatist attitude. 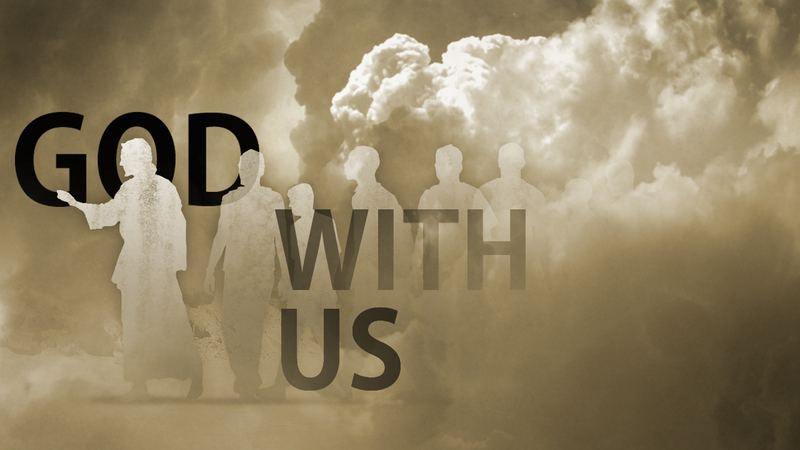 We are called children of the King, a royal priesthood and a holy nation. Despite how bad things may be getting -- don't forget we're on the winning team! We can stand against this evil and overcome it... with good! Dear Lord, we thank You that You are in control. We thank You that we are on the wining team with You. In the Name of Jesus, Amen. 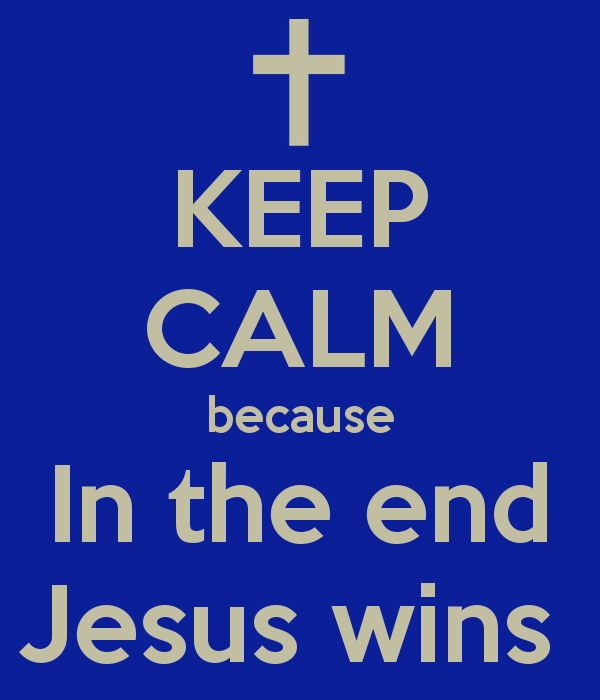 Faith equals a life of victory. Throughout the Bible, the faith of the saints was never something passive -- but rather a faith of action. If Abraham never acted on His faith, He would never have departed to the "land of milk and honey" or birthed a new nation. If Moses never acted on His faith, He would never have led the children of Israel out of Egypt. If David never acted on His faith, He would never have defeated Goliath. The Bible is filled with stories of saints whose faith was put into action -- action which God met with His own supernatural power to produce wonderful, miraculous and astounding results. God is a rewarder of faith! Put your faith into action today and let your actions be fueled by your faith -- and perhaps, this will be a new day of miracles, breakthroughs, and victory ... for a life of faith -- is a life of victory! Dear Lord, help us put our faith into action. We pray that our faith would be strong. In the Name of Jesus, Amen. The oil crew immediately set up the machinery and began drilling. Five hundred feet down, they came up dry. Eight hundred feet, dry. One thousand feet they sunk the shaft, and still no oil. Finally, at a little over eleven hundred feet, they tapped into one of the richest oil reserves in Texas. The hole sprayed its black wealth high into the air, and soon the well was pumping eighty thousand barrels of oil a day. Overnight, Yates and his family became millionaires. His property, once called Yate's Field, became known as Yate's Pool. And soon hundreds of oil wells dotted the land where once only sheep grazed. Hmm. What if they had stopped at a thousand feet?? There is a well of blessing within us that is just waiting to be found. And the victory will only come when we dig for it. We need to press on when the circumstances look their bleakest! We need to believe that the blessing is there for the taking and not stop when we get discouraged and don't see the fruit of our labor! We need to expect great things and rich oil in the Spirit! Because this is what the Lord has for each one of us! Our breakthrough is just under our feet! Be encouraged! Keep digging! Dear Lord, we pray today for endurance. Help us to keep pressing forward even when things look bleak. Give us the encouragement to keep pushing, digging and striving to what You have before us. In the Name of Jesus, Amen. He brings forth an abundance. Dear Lord, we thank You for the gifts You have given to us. Help us be willing to give them to You so that You can multiply and use them in a mighty way. In the Name of Jesus, Amen. 20 Now in a great house there are not only vessels of gold and silver but also of wood and clay, some for honorable use, some for dishonorable. 21 Therefore, if anyone cleanses himself from what is dishonorable, he will be a vessel for honorable use, set apart as holy, useful to the master of the house, ready for every good work. 22 So flee youthful passions and pursue righteousness, faith, love, and peace, along with those who call on the Lord from a pure heart. They say you learn something new every day. 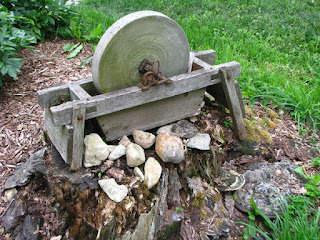 I just recently learned what a grindstone is. A grindstone is a revolving disk made of stone which is used for grinding, polishing or sharpening. It can commonly be seen grinding down wheat or sharpening and polishing metal for various purposes. At first glance, this information may not seem all that interesting. However, a wise man once compared life to a grindstone. He said -- whether life grinds us down or polishes us up depends on what we’re made of! So… here’s a question. What are we made of? Is life grinding us down to pieces? Or is it polishing us up to make us better equipped to do the work of the Lord? I can tell you this -- we are not called to crumble apart like chaff under the grindstone! We are called be tools in our Master’s hand -- sharpened and polished beautifully for His use!! Let’s commit ourselves to the Lord once again today. Let’s stop whining about our difficulties and allow God to use them to sharpen us for His glory! Dear Lord, help us look at our difficulties as an opportunity for You to sharpen us for the job You have ahead for us. In the Name of Jesus, Amen. An organization in Montana offered a bounty of five thousand dollars for every wolf captured alive. Two hunters decided to head for the hills and make some money capturing wolves. Day and night, they scoured the mountains and forests searching for their valuable prey. Exhausted after three days of hunting without success, they both fell asleep. During the night, one of the hunters suddenly woke up to find that the two were surrounded by a pack of fifty wolves, their eyes flaming and teeth bared. At once, he called to his friend, "Hey, wake up! We're gonna be rich!" Sometimes we feel in over our heads in difficulties. 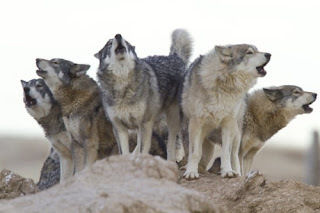 They surround us like that pack of wolves preparing to pounce. But perhaps these difficulties are actually opportunities?? Recently, we've had some interesting trials. But through these tribulations, we see that God is taking each situation, one by one, and turning it for His Glory -- just more opportunities for us to testify of His goodness. Today, we have the opportunity to learn and grow, and experience the grace and power of God through these trials which surround us. The devil is not as smart or powerful as he appears -- and we have a great and All-Mighty God who has a way of using our enemy's silly tactics for the building up of His Great Kingdom! Dear Lord, we pray that in the things we come across in our life that we would learn and grow through them. In the Name of Jesus, Amen. and they shall call his name Immanuel” which means, God with us. When Daniel was in the midst of the lion's den…God was with him. When Shadrach, Meshach, and Abednego were in the midst of the fiery furnace…God was with them. It would have been perfectly easy for God to immediately transport these saints out of their difficulties, but no, He chose instead to be with them in the midst of their trials. God chose to reveal His power through the trials instead of exercising His power to remove them. Trials and difficulties are simply a part of life and quite honestly, the longer I walk with the Lord the bigger these trials become. 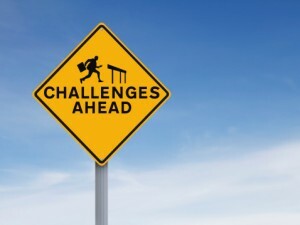 But how do we react when our faith is challenged by these adversities? James 1:2 says to count it all joy! What could possibly be joyful about difficult situations? Painful, yes...but joy?? We can find joy in knowing, and even sensing that God is with us in the midst of our problems -- in the midst of our trials. He did promise never to leave or forsake me; and as I look over my life, I find it to be absolutely true...no matter what crazy situation I'm in, God is with me. We all have this decision: either to complain because of the trials we're enduring...or to prayerfully lift our souls before him and rejoice in the midst of our troubles -- knowing, believing, and even feeling, that God is with us, now...always...all the way! Dear Lord, help us make the decision today that in the tough times we will rejoice in the midst of our trials. Help us always remember that You are in control and know what is best for us. In the Name of Jesus, Amen. Spurgeon, writing about the trials and afflictions that the saints endure, said, "It is no mean thing to be chosen of God." He continued, "God's choice makes chosen men choice men … we are chosen, not in the palace, but in the furnace. In the furnace, beauty is marred, fashion is destroyed, strength is melted, glory is consumed; yet here eternal love reveals its secrets, and declares its choice." In the midst of trials and tribulations comes the burning question: "Why do the righteous suffer?" Some answer with theology, others with platitudes; C.S. Lewis offers a rhetorical, "Why not? They're the only ones who can take it!" One friend suggests, "Suffering was the personal choice of God at the beginning of creation. [Revelation 13:8] If I want to know Him personally and intimately how can I not embrace it?" Embrace your trial and the suffering involved, but only if you want a deeper relationship with your personal savior. Dear Lord, thank You that even during the trials in life we can know that You are there with us. Help us to embrace those times when we struggle. In the Name of Jesus, Amen. But this ought to be the simple secret of the life of every believer: walk with Him, because the mystery that was hidden from mankind is now revealed to us through His Son – "Christ in you – the HOPE OF GLORY"; so that now, every truly born again soul can walk with the living God through His constantly indwelling presence. Do we realize the amazing opportunity we've been given? The simplicity of this truth cannot be overstated. The Lord Himself told Martha, "One thing is necessary"... intimacy with Him; a conscious choice to walk with God, to think about Him, to look at Him, to talk with Him, rest in Him, obey Him, care about him, serve Him, and love Him in a million ways. We are all guaranteed the resurrection that Enoch experienced because Jesus walked with God and totally pleased Him. And we have the choice to follow His example of intimacy. Dear Lord, we pray for a real intimacy with You. Help us continually to walk with You. In the Name of Jesus. Come to the Lord as you are. 32 For the Gentiles seek after all these things, and your heavenly Father knows that you need them all. 33 But seek first the kingdom of God and his righteousness, and all these things will be added to you. We have a cord-free, battery-free alarm clock – his name is Max. 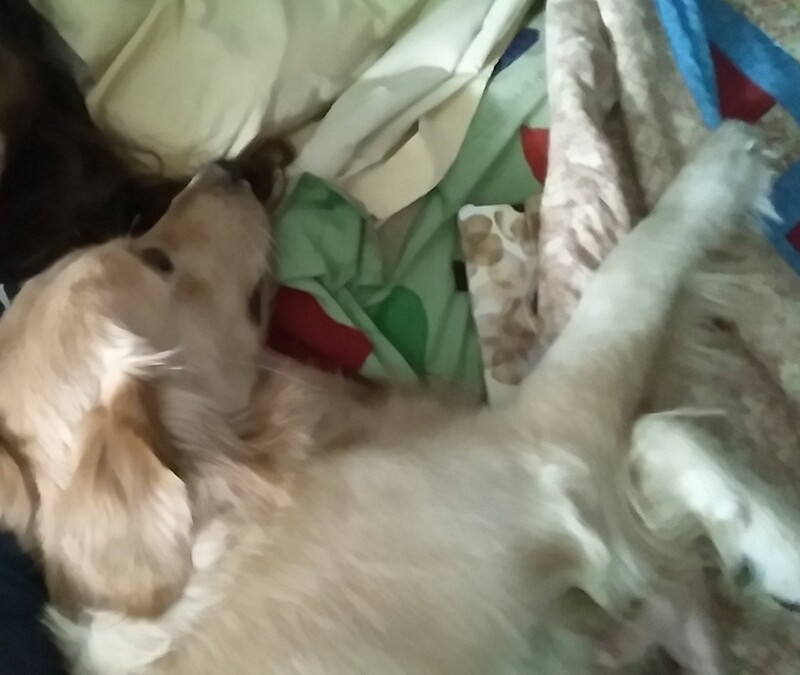 Like clockwork, at 7:00 each morning our Max, wakes up and jumps up onto our bed to greet us good morning. What's interesting to me though, is that when Max wakes up, he doesn't wonder if we'll come to him. He comes directly to us. He doesn't question whether or not we love him. He's sure of it! Max has no worries. He expects that we will take care of his every need and love him. Don't you wish you were a dog sometimes? No worries -- getting pampered and hugged and kissed. Well, I have good news for you -- you are a dog! You are the Lord's dog! We are His children and He loves us with an everlasting and perfect love. He cares for us just like we care for Max -- in fact, much, much more than that! Each morning on, let's start coming to the Lord as we are -- His children! We needn't worry about anything. Our Father awaits the time when we will totally put our trust in Him. He loves us and He knows every one of our needs before even a word is on our lips! Let's practice putting our worries aside and determine to expect our Heavenly father to meet our every need. And don't forget to take some time out today and say -- Abba, thank you for loving me! Dear Lord, we thank You that we can come to just as we are at any time and You are there with Your arms open wide waiting for us. In the Name of Jesus, Amen.